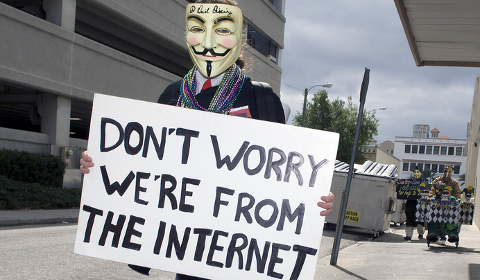 Hacktivism (a portmanteau of hack and activism) is the use of computers and computer networks as a means of protest to promote political ends. Sometimes described as a collection of hacker activists, sometimes as a joke, Anonymous has been making international headlines for the past several years. Most recently, Anonymous came to the world’s notice for their actions during the WikiLeaks affair and during the “Arab Spring”. But who are they? Continue reading Who is Anonymous and What Are They Up To?